In a new documentary from Wim Wenders, Francis is sober, consoling, occasionally sad and always jesuitical. But when he addresses what might be called the tent poles of his papacy, Francis is sober, consoling, occasionally sad and always jesuitical: He quotes Fyodor Dostoyevsky (“Why do children suffer?”) and tries to answer the question: Because people are free. And free to love. And love requires choice. And only people who are free can choose. His message is always simple but sometimes deceptively so. 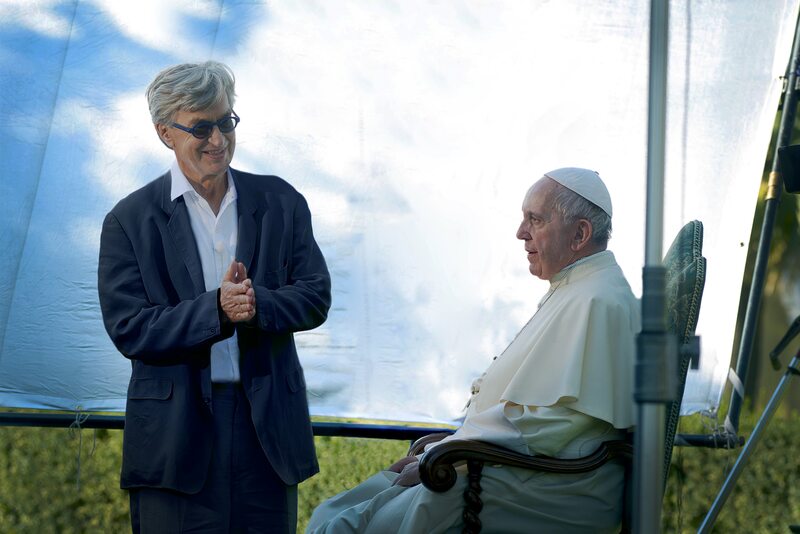 Wenders, who is Catholic and whose films include that cult favorite about angels, “Wings of Desire” (1987), had remarkable access to the pope, did multiple interviews in multiple locations and seems to have had time for Francis to relax and address the issues at hand with satisfying thoroughness and care. Fans of nonfiction film (Wenders’s documentaries include “The Buena Vista Social Club”) may be reminded by the director’s narration of his compatriot, Werner Herzog. The way Francis addresses the camera suggests the American documentarian Errol Morris and his Interrotron, which allows a director to make eye contact with a subject as the subject looks directly at the camera. The pope seems to be addressing the viewer directly, quite obviously the point. The humor is ever-present and often rich in the pope’s public comments. Less obvious is the way Wenders creates a running commentary behind Pope Francis’ words through his editing and the silent reproof of his cuts. When the pope is seen addressing crowds of the poor in Brazil, the Central African Republic, the monsoon-ravaged Philippines or a detention center in Naples, the crowds are delirious and grateful. When he addresses the United Nations on climate change, the membership can barely pay attention; the delegation from China looks particularly bored. When Francis visits an American jail, the detainees are rapt; when he addresses the U.S. Congress, members are more than happy to leap to their feet at a mention of “the land of the free and the home of the brave.” When he insists on an end to the gun trade—“which we all know is simply for money...money drenched in blood”—the Republican membership stays pronouncedly put. When Pope Francis says that the more power one has “the more you are called on to be humble,” Wenders gives us—what else?—glimpses of Vladimir Putin and Donald J. Trump. “Pope Francis: A Man of His Word” is a film made by a fan, and a fan in sync with his subject’s theology—but who has no delusions whatsoever about what both of them are up against. Wonderful hagiography and a delightful public relations piece well in keeping with the Jesuit Tradition. When has Francis ever been "consoling" towards the children abandoned as a result of his publicly soft attitudes about marital commitment? This article also appeared in print, under the headline "A radical portrait of the pope, from a director and fan," in the May 28, 2018 issue.